The barrel used is Papermate 094, where the white cap is used for Waterfall mod ! Put instead the papermate backcap a donga backcap, it fits perfectly ! 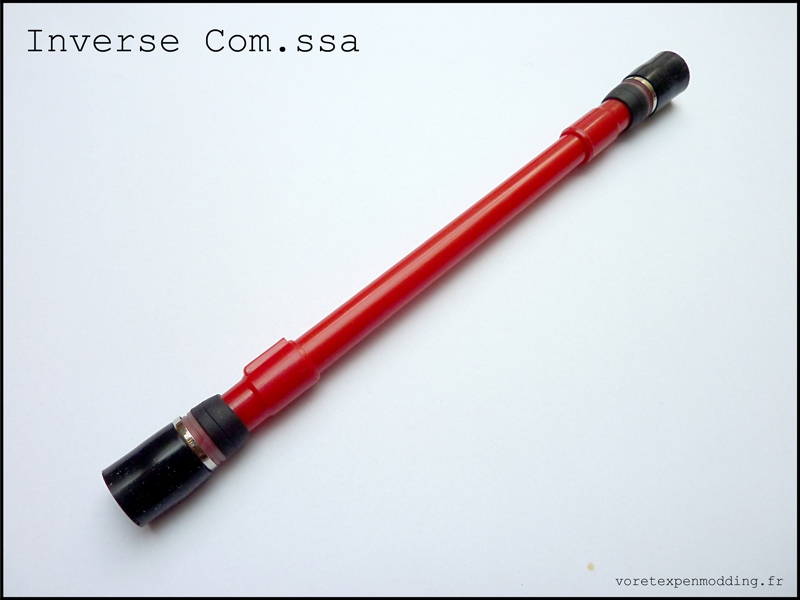 Share the post "Inverse Com.ssa"